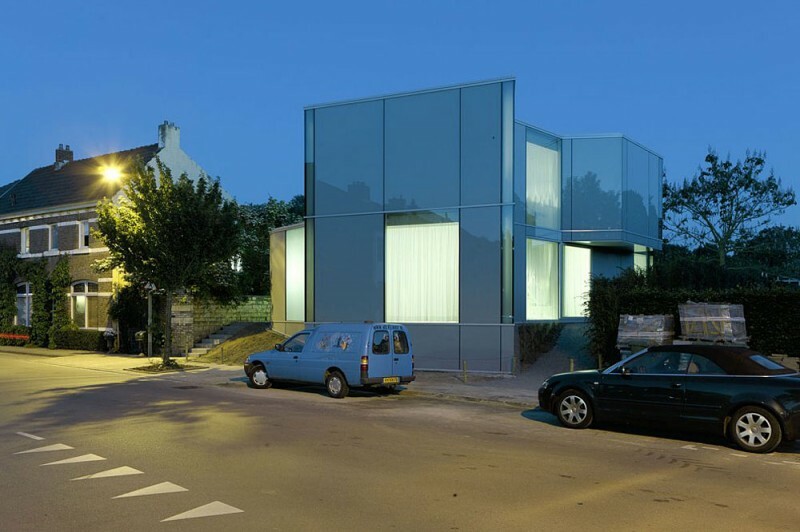 Amsterdam-based studio Wiel Arets Architects has completed the H House project in 2009. 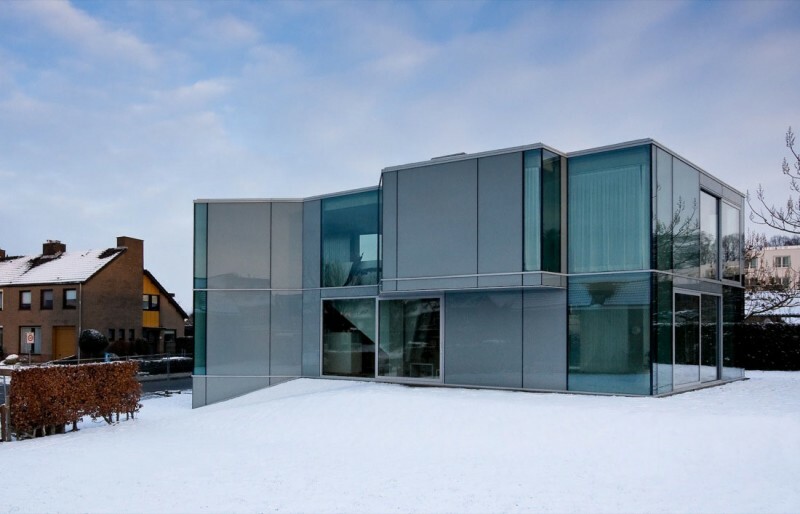 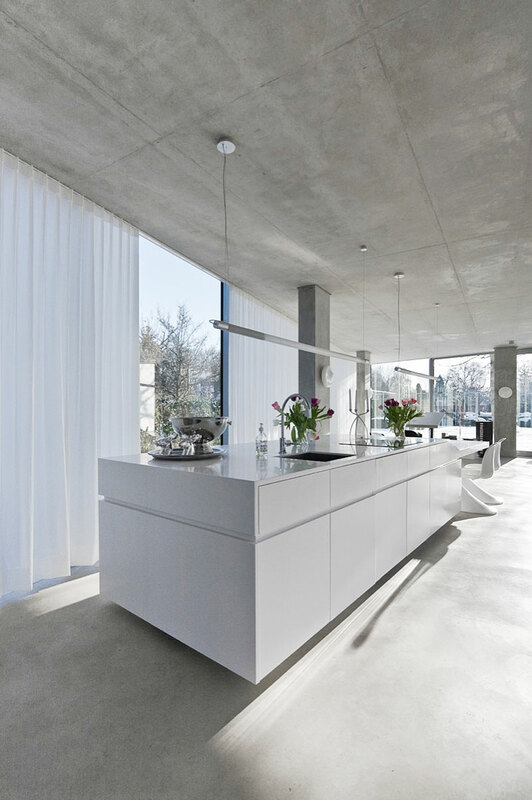 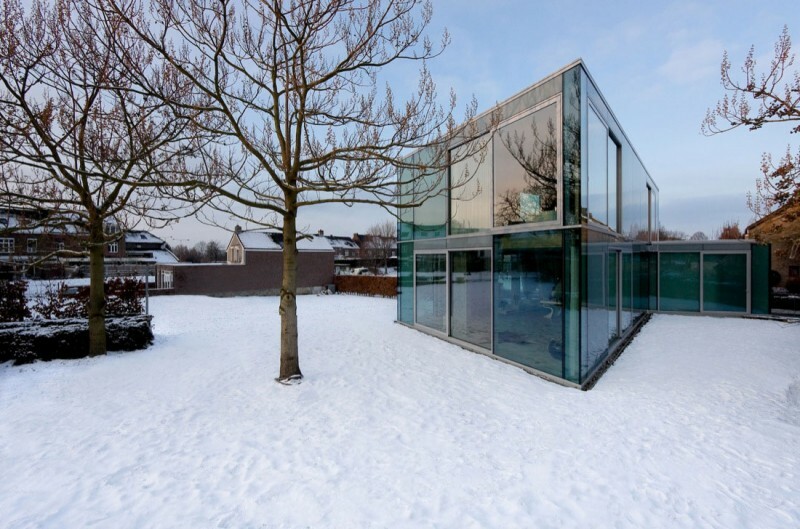 This two-story contemporary house all made of glass and concrete is located in Maastricht, The Netherlands. 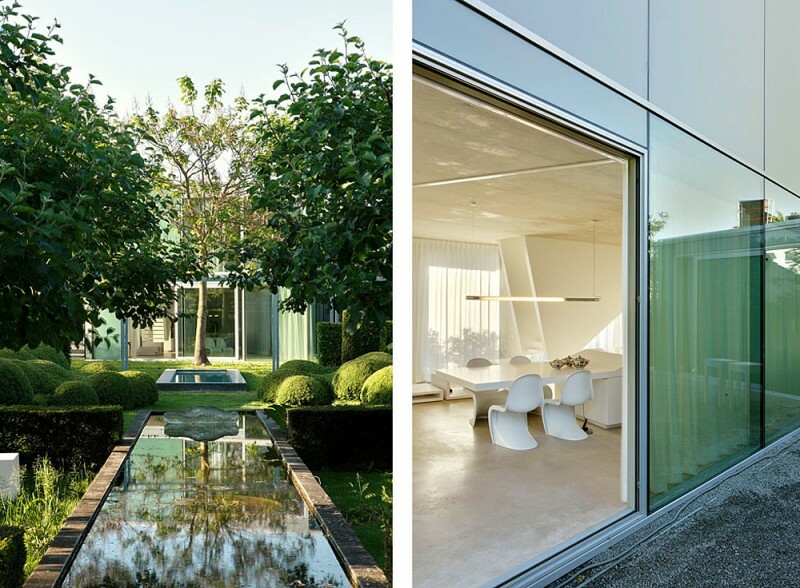 “The H House was designed for a couple – a dancer and an actor, both of whom are also landscape architects. 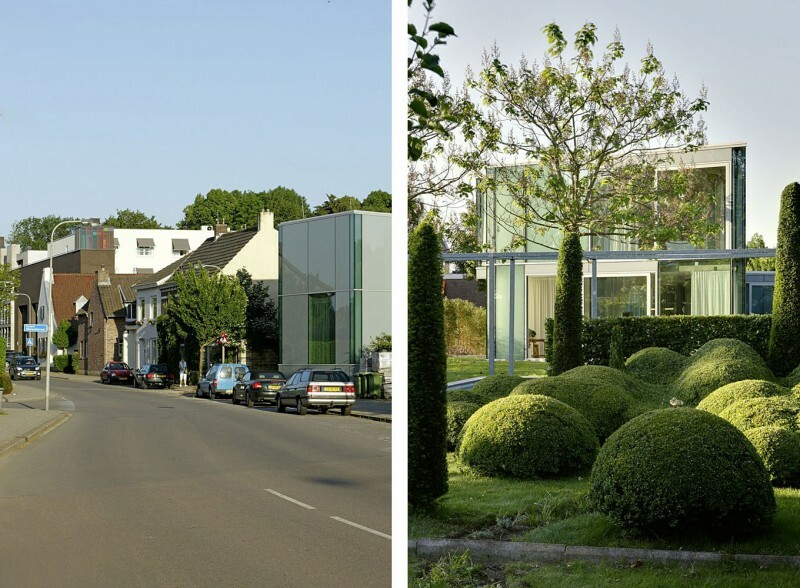 Behind the house, and located on the property, is a small formal garden, which is occasionally open to the public. 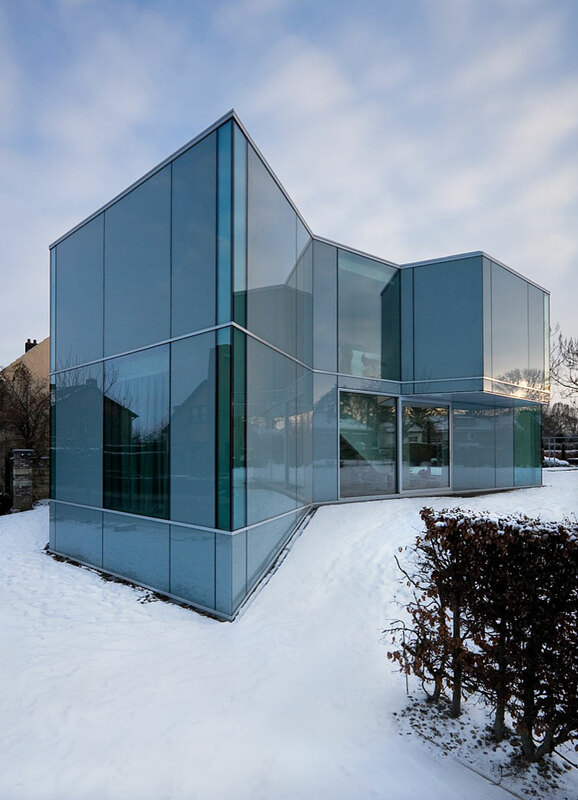 The house is composed of two concrete slabs wrapped with an all glass facade of varying degrees of transparency, some opaque and others not. 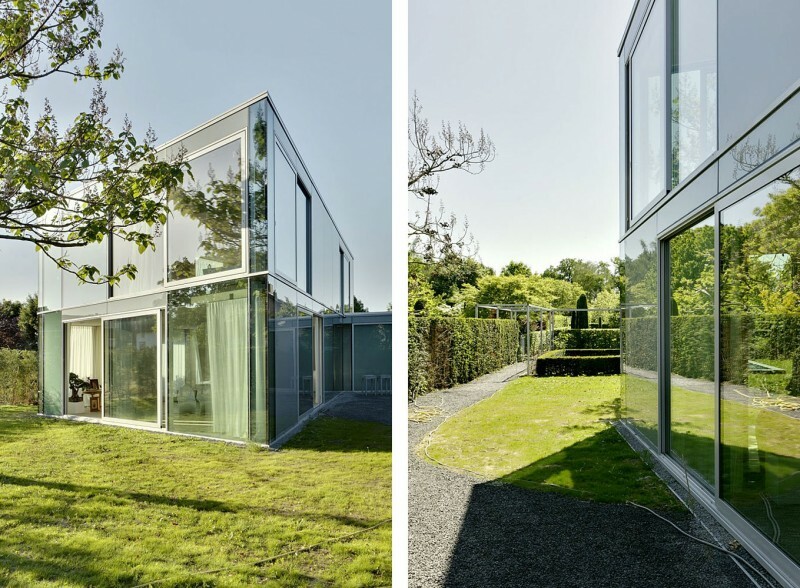 Additionally, some of these transparent facade elements can be opened completely, creating large and uninterrupted views to the exterior, and the formal garden. 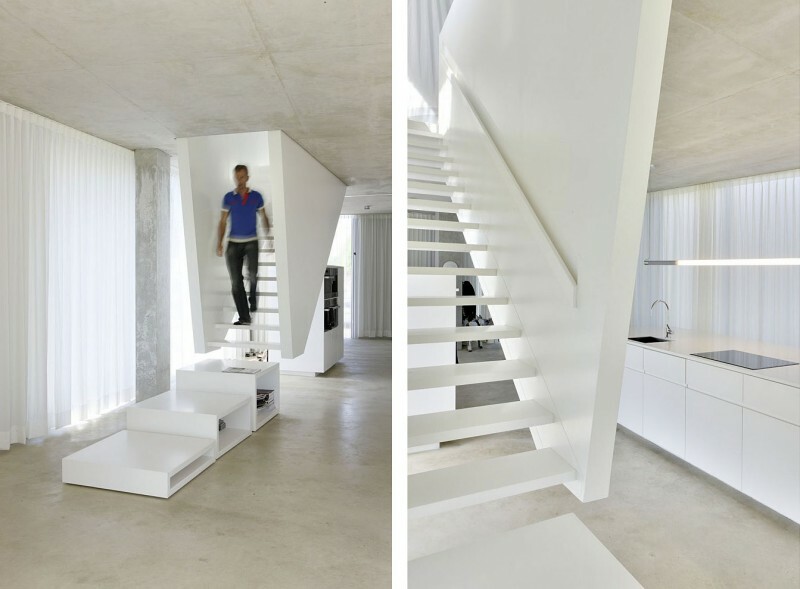 The interior of the home is arranged to form a singular loft-like space, with a central mezzanine. 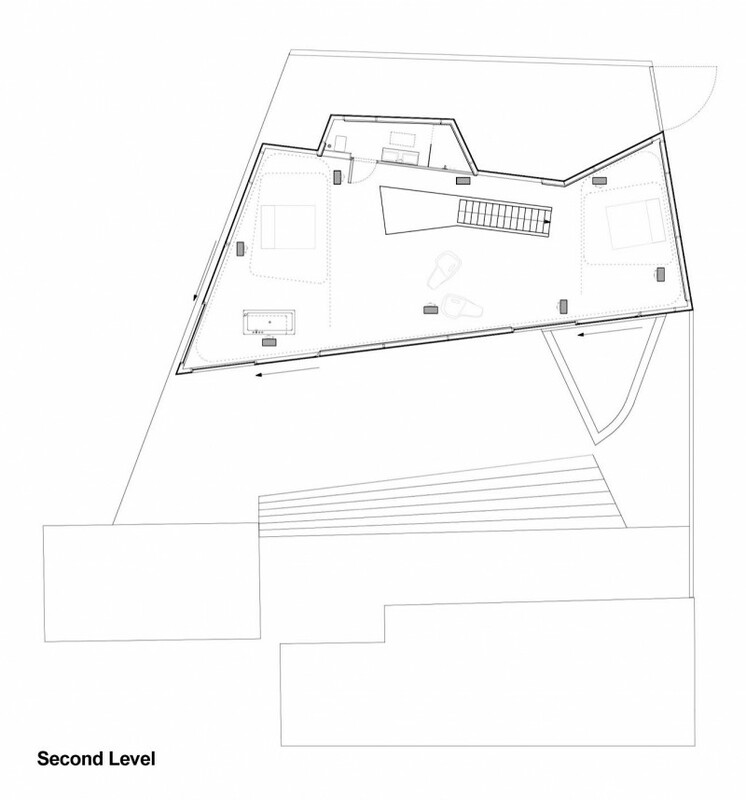 Two smaller and independent volumes – the entrance and the bathroom – are adjacently arranged to the main volume, with the bathroom cantilevering out and over the ground floor, and the entrance volume on the ground floor extending beyond the second story volume, which creates a terrace above. 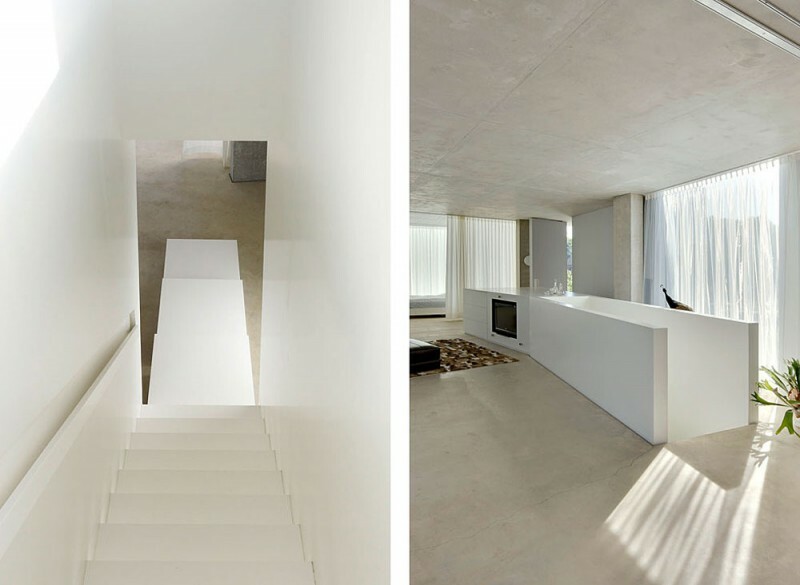 Containing no structural walls, only a few rectangular columns support the structural slabs, which have been positioned to minimize their impact on the interior space. 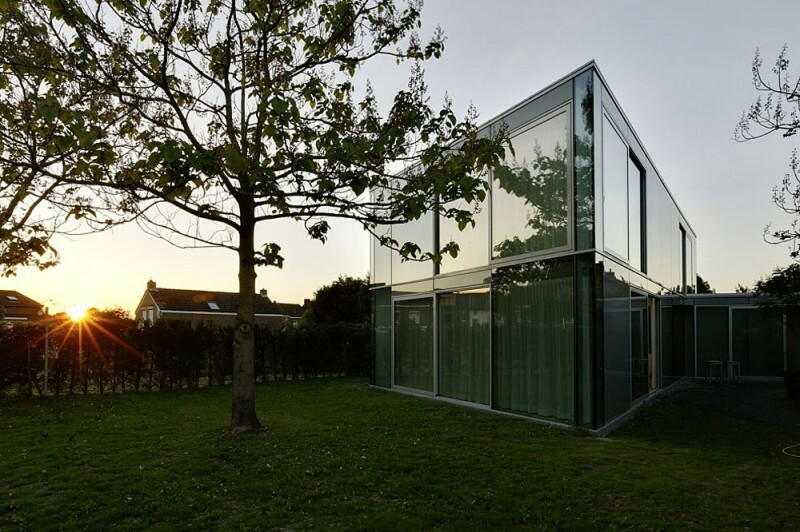 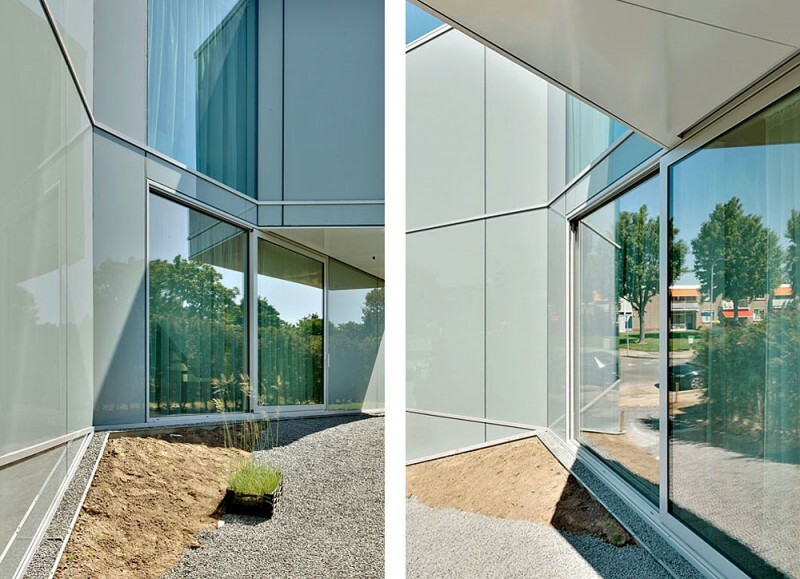 All other walls, whether internal or external, consist of glass. 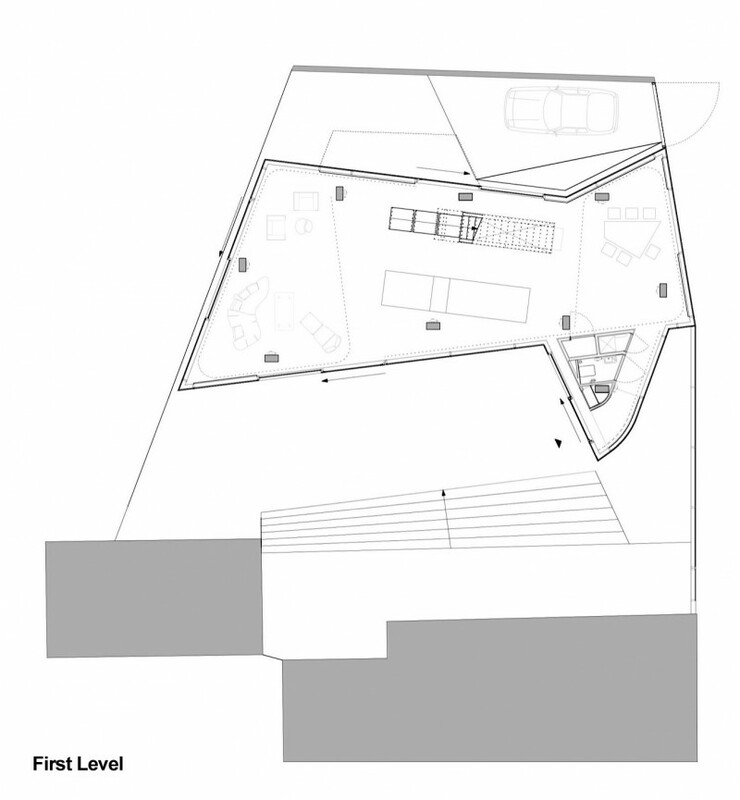 The stair of the house is an independent sculptural object within this loft-like setting, producing an air of excitement and suspense within, while leading to the first floor above. 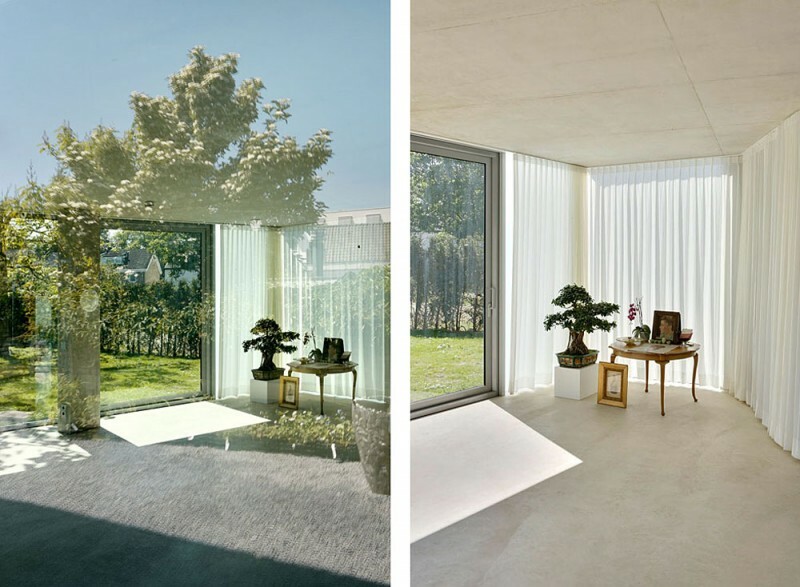 The required range of privacy desired by the owners can be controlled with a series of curtains that can be drawn, to casually and elegantly define ‘interior rooms’ on both levels of the house. 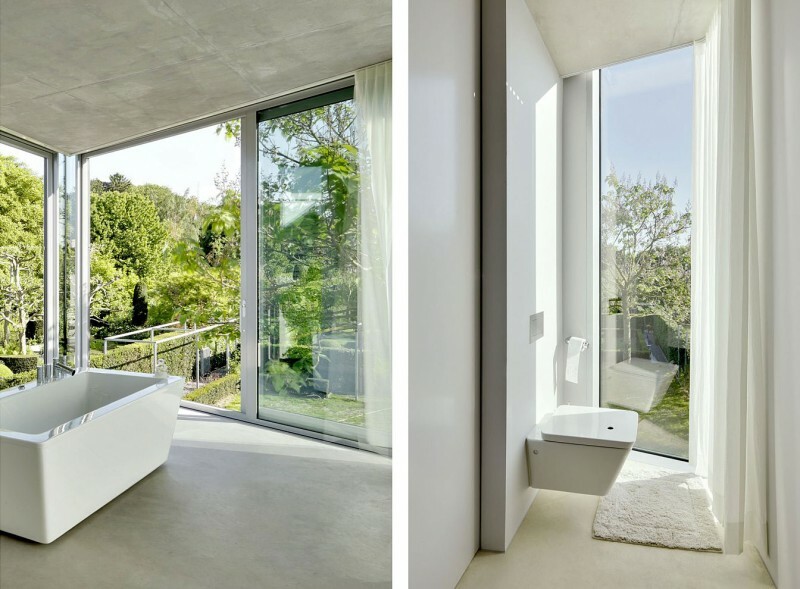 All lighting and bathroom fixtures are part of the ALESSI Il Bagno dOt series, which is also designed by Wiel Arets Architects.